The Healing Light Institute of Spirituality is an organisation dedicated to the promotion of spiritual development and person well-being. We also promote spiritual understanding through participation in spiritual development circles and from the spiritual teaching in the channeled book ‘The Light in Your Life is Spirit’, which is FREE to download in PDF format. We also offer a volunteer based email support service for anyone interested spirituality and personal development regardless of race, creed colour or religion. The journey towards developing our well-being and personal healing can begin by simply having and open mind. It is from this principle that we have created this website which can be a used as a useful resource of information and inspiration to anyone with an alternative perception of spirituality seeking change in their lives. 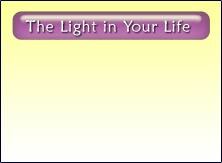 Download the FREE channelled book “The Light in Your Life is Spirit by George A Thomson. Available in PDF format. Join our FREE discussion forum. Talk about your spiritual interests with other like minded individuals. Start your own spiritual development circle. FREE downloads from circle format instruction to guided meditations and more.